E13ctron have begun shipping their newly developed S4 aluminum cases for the iPhone 4. 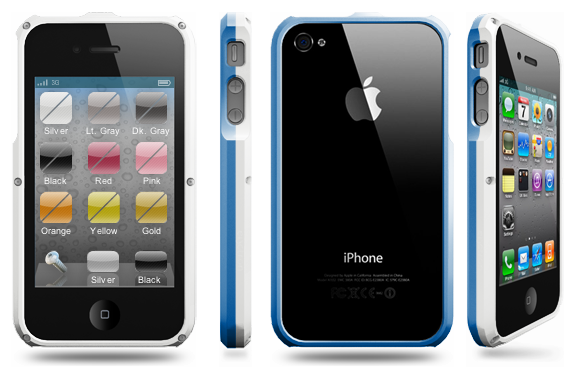 E13ctron allows you to customize the colors of your case by choosing two colors for the two parts of the iPhone 4 case right down to the screw colors that are available in black or silver. You can choose between a slew of 13 colors, unlike any other aluminum case. The S4 anodized aluminum case will cost you a pretty penny at $84.99. We will have a full review of the S4 case soon, so stay tuned!